Look at What's New for You! We have a change for the Perfectly Imperfect Quilt class. The date is October 26, 2013 but the time is at 9:00 am not 6:00 pm. 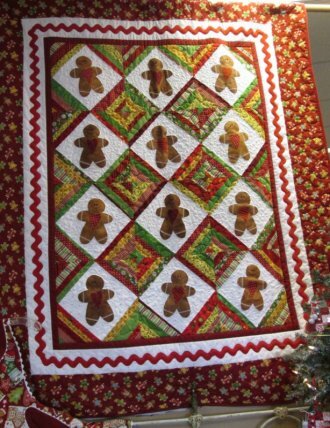 Enjoy the day, making this versatile quilt. Tomorrow is Saturday Sampler. How are you doing in completing your monthly blocks? A quick and not so overwhelming way to get caught up is to take 15 minutes at a time and work on it as fast as you can. Then go do something else. You will be right on track in no time. How can you not fall in love with this CUTE Wall hanging? 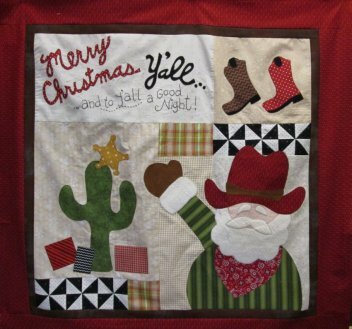 Celebrate the season when y'all get together with Santa dressed up as a buckaroo! 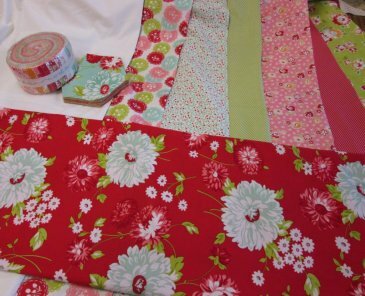 This pattern is divided into 5 parts, making it quick and easy to put together! This is quick and easy. Made from a panel and we have everything for you to put it together. Great Halloween Costume. 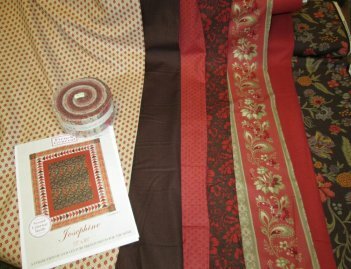 This fabric is so rich in color and there is a simple pattern showing off how beautiful these fabrics are. 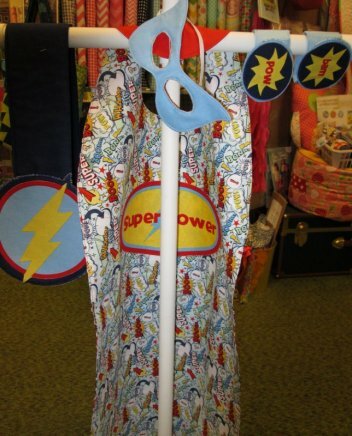 We have bolts of fabric along with the jelly rolls. 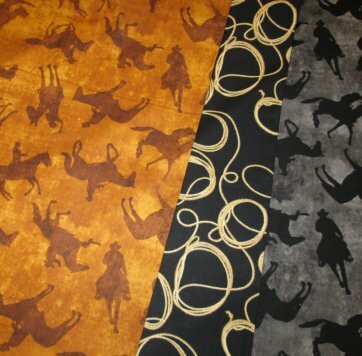 We just received this Western fabric. There are so many different projects to make. Gorgeous bags and quilts. 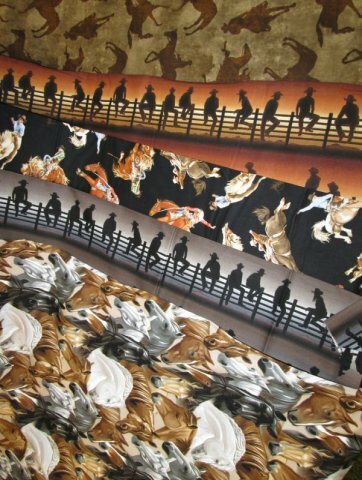 Along with MORE Western Fabric. This yummy fabric can be used for the upcoming holidays or just a bright cheerful bag or quilt. Moda has introduced "Honeycombs", which are pre-cut hexagons. You will be seeing new projects using these in the weeks to come. We have several classes coming up this next week. Check them out on our website and get signed up. This is a great time to enjoy some "me" time and to learn new techniques along with getting started with all of your Christmas gift giving projects.